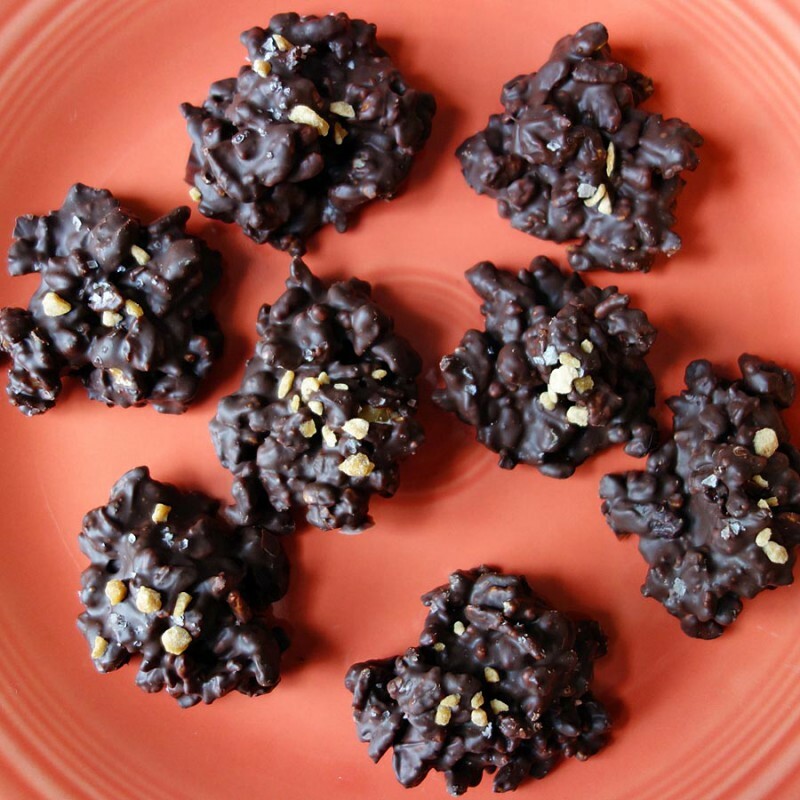 The flavors of fall in the Northeast abound in these Maple Sugar and Pink Salted Cranberry Orange Walnut Chocolate Clusters. Prepare a sheet pan by lining it with waxed paper or parchment paper. Have ready two teaspoons and a rubber spatula. Quickly fold the crisp rice and fruit mixture into chocolate. Don’t overmix or the chocolate will start to set. Moving quickly, place teaspoons of the chocolate mixture onto the baking sheet leaving about 1-inch between them. Put them in the refrigerator to set for 10 minutes. Store in a airtight container at room temperature.